Engineered Components Company doesn’t just stock the largest catalog of fastener products, we are the most capable fastener distributor in the industry. We believe that it is essential to deliver the products – and services – that our customers need to keep their lines productive, cost-efficient, and profitable. Because of this belief, we strive to offer a range of essential services, from the sourcing of fastener products to long-lasting color matching. In today’s post, we’re going to look at a few of our capabilities and, more importantly, discuss how they can help you keep your line moving. When you want to save time on inventory management and tracking, there’s no better solution than vendor managed inventory. Assuming the burden of tracking your in-stock parts and components, our programs can help you stay prepared and – even better – stay productive. In addition to being a fastener distributor, we offer a range of value added services, including assembly, packaging, and graphics. If you’re looking for top-quality fasteners combined with a professional presentation, we’re confident that you’ll be happy you chose Engineered Components Company. Do you have an application that is somewhat out of the ordinary? Have a need for parts that can’t be found in any catalog? Don’t fret, Engineered Components can help! With the ability to fabricate and manufacture a wide range of custom nuts and bolts, you can rest easy knowing that the parts you need are only a phone call away. 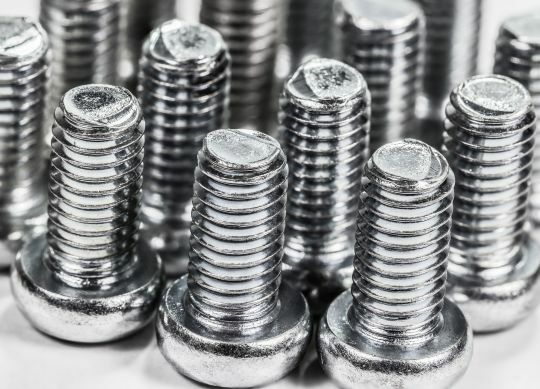 At Engineered Components Company, we pride ourselves on stocking the industry’s largest inventory of fastener products. Beyond that, though, we are driven to serve our customers in more service-oriented ways. Whether you need VMI, UV-testing, plating, packaging, or in-plant material management, we encourage you to reach out to us today to discuss how we can help.